Does Facebook Make Your Life An Open Book In New York Personal Injury Cases? In New York personal injury cases it has become routine for defendants to serve a notice for discovery and inspection of a plaintiff’s facebook page. Who doesn’t have a Facebook page these days? It’s the most popular way to connect and stay connected. Fortunately, there are numerous settings available so you can control the privacy level of your content and therefore, who you share your information with. So if you wanted to post a comment to your Facebook “friends” informing them that despite that devastating car accident you were recently in, and the pending million dollar lawsuit against the other driver, you feel great, have gone back to work, and participate in all of your daily activities; no problem right? Your secrets are safe? In the context of personal injury cases, the New York courts seem to agree that legally, to the extent that a plaintiff’s Facebook postings are relevant, in that it contradicts or conflicts with plaintiff’s alleged restrictions, disabilities, and losses, and other claim, it is discoverable (see, Patterson v. Turner Constr. Co. (88 A.D.3d 617, 931 N.Y.S.2d 311 [1st Dept. 2011]; McCann v. Harleysville Ins. Co. of NY (78 A.D.3d 1524, 910 N.Y.S.2d 614 [4th Dept. 2010]). In fact, disclosure is not necessarily limited to the “publicly available” portions of one’s facebook account but may also include the portions which were deemed by the user to be “private” or even those postings that had been deleted (see, Patterson v. Turner Constr. Co., supra [the postings on plaintiff’s online Facebook account, if relevant, are not shielded from discovery merely because plaintiff used the service’s privacy settings to restrict access]; Loporcaro v. City of New York, 2012 N.Y. Misc. LEXIS 1726, 2012 NY Slip Op 30977U (N.Y. Sup. Ct. Apr. 9, 2012][allowing access to certain deleted materials]). After all, “to permit a party claiming very substantial damages for loss of enjoyment of life to hide behind self-set privacy controls on a website, the primary purpose of which is to enable people to share information about how they lead their social lives, risks depriving the opposite party of access to material that may be relevant to ensuring a fair trial” (Romano v. Steelcase Inc., 30 Misc. 3d 426, 907 N.Y.S.2d 650 [Sup. Ct. Suffolk Co. 2010]). What is not clearly defined, nor apparently uniform, is the way the courts treat Facebook disclosure requests. For instance, in Loporcaro v. City of New York, (supra), the plaintiff alleged in his bill of particulars that he was incapacitated, confined to bed or home during the first two months following the accident, and suffered permanent effects on his daily life. 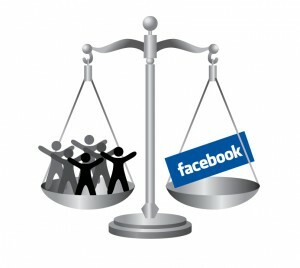 Granting defendant access to portions of plaintiff’s Facebook account, including access to certain deleted materials, it was the court’s opinion that since it appeared that plaintiff had voluntarily posted at least some information about himself on Facebook which may contradict the claims made by him in the present action, the moving defendant had sufficiently shown that information contained within plaintiff’s Facebook account may contain information that may well prove relevant and necessary to the defense. Similarly, in Romano v. Steelcase Inc (supra) defendant filed a CPLR 3101 motion for access to plaintiff’s current and historical social networking pages and accounts claiming that the plaintiff had placed certain information on the sites that it believed were relevant to the extent and nature of her injuries, especially her claims for loss of enjoyment of life. The court found, inter alia, that in light of the fact that the public portions of the plaintiff’s social networking sites contained material that was contrary to her claims and deposition testimony, there was a reasonable likelihood that the private portions of her sites might contain further evidence such as information with regard to her activities and enjoyment of life, all of which were material and relevant to the defense of her personal injury action. Consequently, pursuant to CPLR 3101, the defendant was entitled to the information. In seeming contradiction, the court in Caraballo v. City of New York ( 2011 N.Y. Misc. LEXIS 1038, 2011 NY Slip Op 30605U [N.Y. Sup. Ct. Mar. 4, 2011]) denied a similar request by defendant that plaintiff provide it with authorizations to access his “current and historical Facebook, Myspace and Twitter pages and accounts, including all deleted pages and related information.” In support of its motion, defendant maintained that the records from these social networking sites were “just as relevant as plaintiff’s medical records to the extent that there are photographs, status reports, [and] videos that depict plaintiff engaging in activities that contradict his injury. Citing McCann v. Harleysville Ins Co of N.Y. (supra), the court characterized defendant’s request as a ‘digital fishing expedition’ and opined that defendant had failed to establish a factual predicate with respect to the relevancy of the information the sites may contain. The Appellate Division in Patterson v. Turner Constr. Co. (supra), took the high road and reversed and remanded for a more specific identification of plaintiff’s Facebook information that is relevant, in that it contradicts or conflicts with plaintiff’s alleged restrictions, disabilities, and losses, and other claims. If you represent a plaintiff in a New York Personal Injury action it is your obligation to advise your client not to post anything regarding or in any way relating to the case on Facebook or any other social media site. Even the most seemingly innocuous posts may be taken out of context and adversely affect the case.